Lots of people have asked me what car we drive, since we’re a family of 10, soon to be 11. The answer isn’t super fancy or terribly exciting. But I’m not gonna lie, I do like my car. I like it a lot. Leather + DVD + automatic doors = happy momma. We had an Odyssey that seated 7, but traded it in for one that seated 8 when Sophie came home. Unfortunately, they don’t make and Odyssey that seats 9. Or, even better, 20. So what do we do? How do we get around? We drive two cars when we have to. 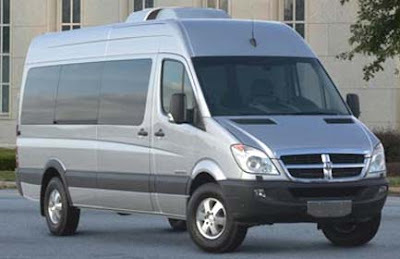 Ideally we’d all get around in a big fancy Sprinter Van that seats approximately one million. Kinda like that family- with- 8- kids- that’s- on- TV- but- just- divorced. Unfortunately, Dodge has not yet called us up to offer us one for free, or even a fatty discount on the ridiculously high sticker price, so we don’t have one. I know. It makes you giggle just to think of driving one. Giggle. And sweat. I mean, it’s like 20 feet tall! And positively huge! Who wants to bump into an old college roommate driving one of these honkers ’round town? I do. When you have 8 going on 9 kids, you start to want things you never thought possible. Trust me, it ain’t pretty. Then we started to save the $400 a month we would have been spending on a car payment. And, to date, we’ve saved close to $8000. She’s starting to look pretty good now, eh? Sooooo, what are why are we talking cars now? We’ve moved to New England. And winter is a few short months away. Last year they had “hundreds of inches” of snow in this area, per the kindly gentleman at the Lowe’s checkout. He then proceeded to chuckle when I told him we were from the South. Yes, I am panicking already. So, while we still aren’t going to go buy take out a loan for a Sprinter, we are planning on buying a new(er) car soon. We’ve done our research and pared it down to one car that we can not only afford, but that we actually want to drive. Nothing personal, Dodge Caravan, you’re just not my style. The Honda Pilot. It seats 8 and has 4 wheel-drive. Pretty good gas mileage for a SUV, and it is very well rated. 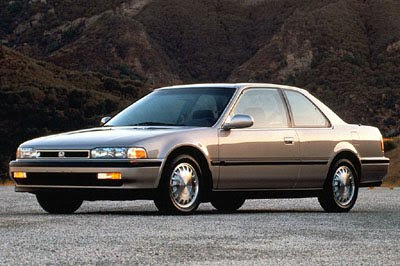 Chris is heading out to look at one today, hoping to trade-in his old(er) Honda in the process. We’ll see what he comes home with. I have a Honda Pilot & LOVE it. Much roomier than my 11 yr old RAV 4 (which I also loved). I am so glad that you posted about this. I was just wondering the other day what you all drove with all your kiddos. We currently have a minivan, but have looked at some full size vans (which I said I would NEVER drive). Still not sure what we are going to do once Drew gets home, but I am sure we will figure it out. god bless you and your bursting family. i have such an affection for IHOP families (united nations families, if you will. . . ). what a picture of what it looks like to care for the widows and orphans. thank you for your faithfulness and your willingness to share. i hope you get the car of your dreams one day!! Sounds familiar. Back when we drove (we have no cars in Hong Kong – it's either the bus, the subway or 2 taxis for this big family), we had an Odyssey and Pilot. Loved them both! I'm still amazed I'm making it through Colorado winters in my Odyssey. But then I also have the luxury of choosing to just stay home when the weather is really bad. I had no idea the Pilot seated 8! Much better than the Sprinter! I drive a Honda pilot and I only have 4 kids. I'm telling you right now, you won't be happy with the Pilot. The back seat is TINY tiny tiny! You can't fit two car seats in the back, and there is no leg room. For the same price, I suggest you go look at a Nissan Armada. They seat the same number of people, but feel so much bigger and more comfortable! Even with 4 kids we are saving our pennies for one! We have an Odyssey and a Pilot and love them both. 🙂 We have found the Pilot to be the best suv in the snow actually. We scientifically tested this theory when we had a house full (17 peeps) of snowed in visitors)for THREE days! )and we had to go all over town in our Pilot to dig out peeps who were driving other suvs. 🙂 Fun times. I wish I had a dollar for everytime someone ask me when i am getting a sprinter like Jon and Kate! lol…. I am going to have my hubby look into the honda pilot. We really like the looks of the Toyata FJ but it only seats 5 and all thought my older two kids are never with us we do have 5 littles so that leaves no room for Momma to drive. lol…..Right now we get around in our surburban but I HATE driving it and I have a pacifica which isn't big enought if its all of us. We are going from a family of seven to eight soon. Driving a Tahoe and hate it!! Wishing for a minvan but don't thinkit will work because DH works for GM and they don't make one!! Have to go with a full size van, luckily we get a discount…. I now have a ford expedition EL and it seats only 8 but is like driving a semi truck. No kidding..it beeps when I back it up…yes it does…and I am thankful it beeps b/c it tells me how far before I crush the guy behind me. The Pilot seems much more manageable!! And I love the saving up money from a car payment until you can buy what you want. Sounds like you know Dave. Good luck with the car thing! We drive a Tribeca by Subaru, seats 7 but our older sons all drive their own cars so it works for us. It is all wheel drive, great for bad roads and is small enough I can buzz around town so easily! The rear seats fold up and down fast, very convenient. Enjoy the car drama! Love your house remodeling pictures, hope there are lots more to come, Thanks for sharing. You've chosen the right car. I have a Honda Pilot. It's a great car, much better than a minivan. It runs so well and is very safe. Hope you find one soon. With six kiddos, we found our Pilot to be too small. Very cute and fun to drive….. but too small. I LOVED it though! I wanted to keep my Pilot AND buy a Sprinter as a third vehicle……. hubby laughed. Still waiting on the money tree to grow in the back yard. I think it is a great choice for your hubby. To own an Odyssey and a Pilot is perfect!! We're a Honda family too! (Ody & C-RV). Would I drive a Sprinter? You bet! With the amount of carpooling I do, I'm already considered the "neighborhood bus." Love the Pilot…it is one sharp looking SUV!…you WILL look cute driving it! ;o) Vehicles are the biggest money suckers out there…but unfortunately, there's no way around it…gotta have 'em, so might as well get something good and reliable that gets the job done right!! Dude- You sayin' I don't look H.O.T. in my 15 passenger??? Cause Jeff told me I DO, was he lyin' to me??? fyi- the 15 passengers don't have 4 wheel drive. A must for New England weather!!! 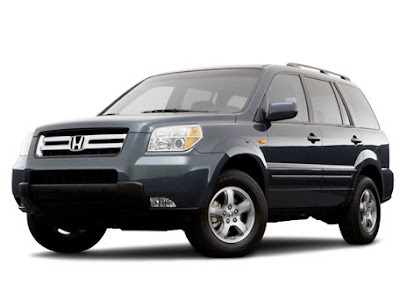 Jeff's car is actually about to croak, and we have looked into the honda pilot too! Lemme know how it rolls, will ya? Too funny! We drive two cars, also. We are considering an SUV and then ordering those seat thingy's that you can add to make it a 10 or 11 passenger. Don't worry about the snow. Just don't drive a rear-wheel drive car and you will be okay. Ice–well, that is another story. But you probably had some ice in the south. We have an Odyssey and a Sienna. With 5 kids(hopefully 6 soon), three dogs, cellos, etc., we still need the room and do have to take 2 cars sometimes. The Sienna w/ all wheel drive is great in the NE weather but if you choose that option, you lose the option of the 8th seat (at least that's the way it used to be). 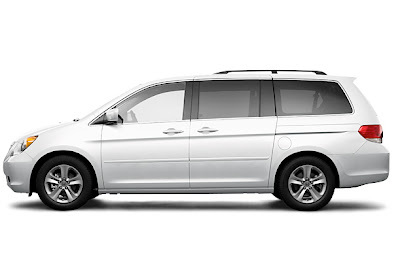 Anyone know of an AWD minivan with 8 seats??? I'm driving around a big blue conversion van! Its a 1989. Ugh! We gave my oldest my Altima (2004) for college and my other son drives around the beat up Kia Sofia (1990)Hubby drives a 2009 Ford something but its a company car so it doesn't count. Hopefully Chris came home with a "new" car for ya! Well Stefanie if I can go from CA to snowy Chicago…you can do it!!!! We had to go AWD too!!! Believe me it makes a difference in the snow. After 11 years I still hate driving in the snow and often make my own snow day if the school decides not to close. Good choice for New England….my mom has one and LOVES it. It doesn't give her any problems in the snow!!! I have to agree with previous posters. I love, love the Pilot, but with my kids when I test drove it, there just wasn't enough room. Couldn't even fit the car seat in well and the third row is tiny. Only big enough for an emergency or quick trip. I adore the Armada, but it is pricey. I bought a used Aspen. Almost as big as the Armada. Just the middle row is a tiny bit smaller, but not much. I got mine with about 5000 miles and it was about $13000 less than the Armada with the same miles. I do love the Armada though!!! That is a very nice car! We live in the North- and 4 wheel drive cars are a must! I have a big suburban with 7 seats- once our daughters come home it will be filled to the gill! Plus we would have our 5 older kids in another car! I have thought next we need to get a truck with a middle bench seat if we have any more additions!! Great post! I love the comment on the helpful man from Lowes and the One where you start wanting things you never thought you would want… big families do that to you!! We drive a big ole GMC Savana conversion van affectionately known as the "Big Momma Van". I love it! Hey! We almost bought one of these this year for John! Did I tell you that? I hope you guys find one that Chris likes and that you can afford…we test drove a 2009 and it was suh-weeeeeeet. Love you…and hey! Good job on the Dining Room. It looks awe-chum. Is this the back to school assignment for all parents this year? New Vehicles 101! We bought a Honda Odyssey Saturday and I am in love. My 1998 Dodge Caravan has seen it's share of ups and downs with us but it's time for it to move on to a new home. I used to have a Honda Pilot and I LOVED it. I live in CT, and have been through many a snow storm in it and it was perfect. They are very nice inside and very steady on the road. Not tippy at all. You'll do great in one in the snow. The trick to driving in the snow is to go slow. In a Pilot, you'll pull right through the snow, but it's the stopping that's the hard part. 🙂 You'll do great.